Automation, Robotics, and Artificial Intelligence (AI) are all topics that I find fascinating and have covered here on the weekly blog. Earlier this week, Phil shared with me an article about Microsoft's strategy to implement Social AI. 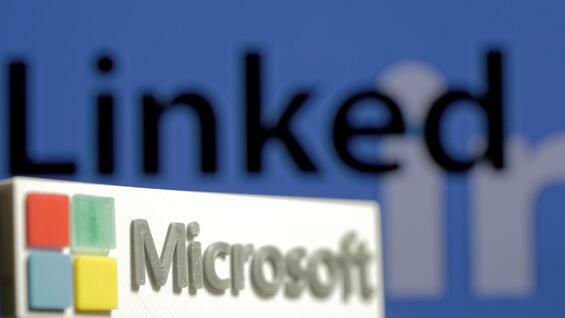 Co-founder of LinkedIn and Microsoft board member, Reid Hoffman, was quoted, "Imagine a Cortana-like intelligent assistant helping you determine which third-degree connections make the most sense for you to pursue." "Microsoft and LinkedIn needed their own game-changing AI salesbot... and they've delivere by accelerating Microsoft's Cortana development with deep learning algorithms to delivered an astounding leap in automated social engineering." Part of our marketing efforts have shifted towards focusing on social media so we can be on the ground floor of this "astounding leap". You can connect with us on all the different platforms by clicking below and if you haven't already, please connect with us on LinkedIn, but more importantly, connect with Phil & Drew Allen as they are competing to become LinkedIn-Famous! We've got more GraceSense™ RTIC Tumblers - Enter to win below!